On the hard floor of a wind-rattled yurt they have spread their blankets, this family of five. Samal, her sable hair all a braid, so young and yet already three times a mother, cradles the youngest, sings him lullabies. The rigor, the staid uncertainty of life on the open, arid steppes of rural Kazakhstan has yet to temper, let alone muzzle, Samal’s song, but how long can she maintain such levity? The wind outside keeps deviling the dust, siccing funnels like guard dogs upon the lonely tent. Starving sheep and stillborn lambs litter the fields. Lips pressed to lips, breath flooding lifeless lungs, Samal’s husband, Ondas, has tried and failed to resuscitate them. When Samal, played by the actress Samal Yeslyamova, folds finally into her husband’s arms and says, looking up into his warrior face, “Ondas, please speak to the boss once more about our moving,” she does so benignly, in a voice still bearing the residue of music. She could be reminding him of minor chores, a dentist’s appointment, a bill coming due. But the message, repeated once already that day, is nothing less than a crie de coeur. Lest Ondas talk the proprietor into moving them to grassier pastures, the flock will be decimated, and what becomes of a shepherd with a decimated flock? What becomes of his family? Ruin is an ever-present prospect in “Tulpan,” a sword of Damocles hanging just above the frame. That it never feels imminent for this ragtag clan of modern-day nomads, that ruin never seems, despite its ubiquity, as if it will have the final word, is part of the wonder of director Sergey Dvortsevoy’s 2008 breakthrough film. Set in a nebulous year in a newly independent Kazakhstan, the former Soviet republic from which Borat hailed in the eponymous 2006 raunch-fest featuring Sacha Baron Cohen, “Tulpan” calls attention to the economic disparities of this sprawling, oil-rich nation perched between Russia and China. 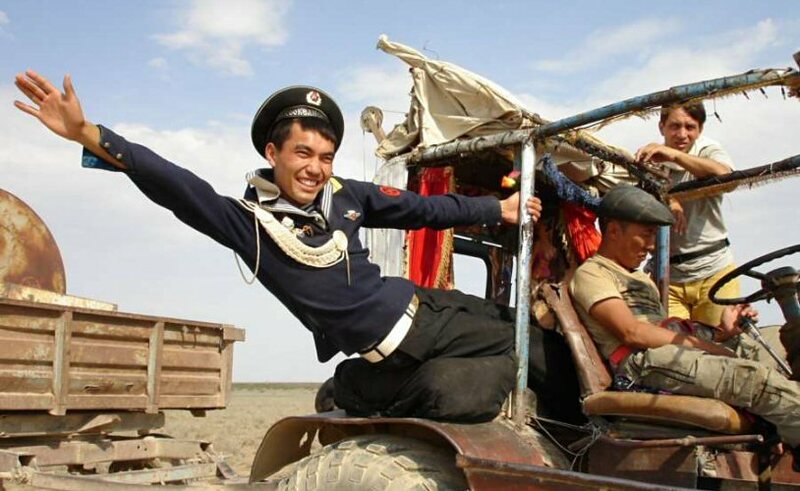 With its dust and drought, with its thematic concern with the hardscrabble nature of rural living, the allure of the city, and the indefatigability of the human spirit, the film is a kind of “Grapes of Wrath” for 21st-century Central Asia. Unlike John Steinbeck’s American Dust Bowl novel, for every heavy blow there are a dozen moments of sheer effervescence in “Tulpan,” more singing and humor than helplessness and despair. Sure, Ondas (Ondasyn Besikbasov) broods. 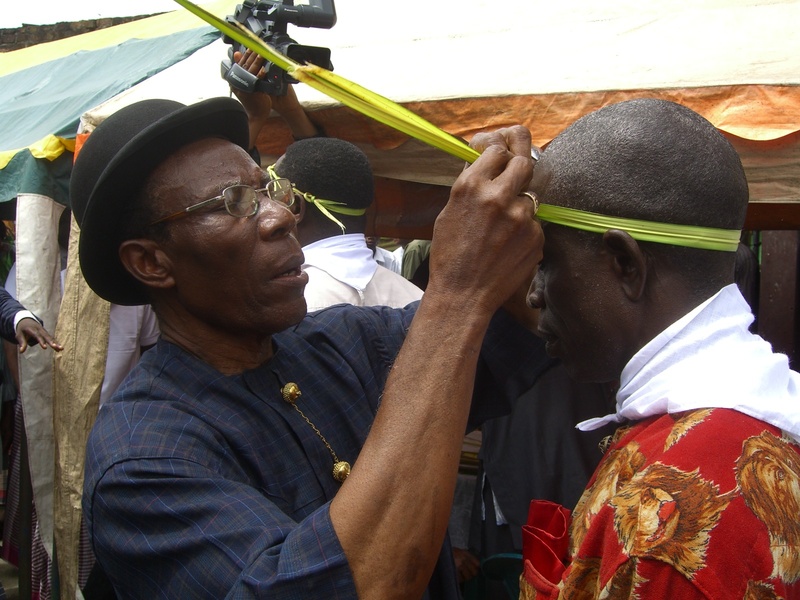 So too does his son recite, word for word in a nascent broadcaster’s voice, the news report aired earlier on the wireless radio. The regional veterinarian, a cigarette stub at his lip, issues a dire report then speeds off in a futile attempt to ditch a camel that won’t leave him be. Scene after intimate, imperfect scene, Dvortsevoy manages to capture the severe beauty of sheer rugged wilderness. Weak-stomached viewers beware: “Tulpan” crescendoes with the realtime delivery of a very lodged black lamb. The film’s confluence of hope, comedy, and anguish is particularly flush in the plight of Samal’s brother, Asa, who comes to live with the family following his discharge from the Russian navy. Played by the gangly Kazakh actor Askhat Kuchinchirekov, Asa is a testy, idiosyncratic twenty-something. His dark hair is parted middle. He sports a baggy seaman’s suit. Asa is also somewhat of a cipher for Dvortsevoy to explore the quandaries facing rural youths the world over. Should Asa carry on the family traditions? Would it be a betrayal for him to ditch the sticks for the city? In a place where women are slim pickings, how will he ever secure a suitable wife? The last question supplies the narrative rail along which the movie chugs. The sole prospect within buckshot is a girl named Tulpan, whose name, it turns out, is Kazakh for “tulip.” Tulpan, a bright, bulbous flower waiting to be picked? Or is she merely a brilliant chimera on the brown, barren steppe? Asa never actually sees Tulpan’s face, at least not full-on. Her parents, unimpressed by Asa’s seafaring yarns, measly dowry, and Prince Charles ears, refuse his proposal. Tulpan, nevertheless, becomes the hook on which Asa drapes his future. If he can win her hand, as local custom holds, he can secure his own flock, begin his own clan. If not, his boisterous friend Boni has the tractor gassed up and ready for a road trip to Almaty, a mountainous city of a million to the southeast that is teeming, or so they’ve heard, with single women and endless opportunity. Asa’s stubborn pursuit of Tulpan tests his nostalgic notions about traditional Kazakh culture. We wonder whether he can survive on the steppe. We are equally dubious about his prospects in the city. Asa is that most vulnerable of creatures, a man caught in between. He feels entitled to happiness, destined for greatness, but his roadmap to get there is threadbare and obsolete. In the final scene, Samal, her umber eyes blazing, senses the confusion behind her brother’s remove. “Where are you going?” she asks Asa as he packs to leave. “Answer!” The question is a shiv, a censure, a splash of cold water, a pageant of pure concern. The words are as clear and charitable as any one of her cradle songs. Is anything more sorrowful than a bar at closing time? The clink of empty glasses, the slap of cash on tabletop, the shuffling of weightless feet across dirty floor. 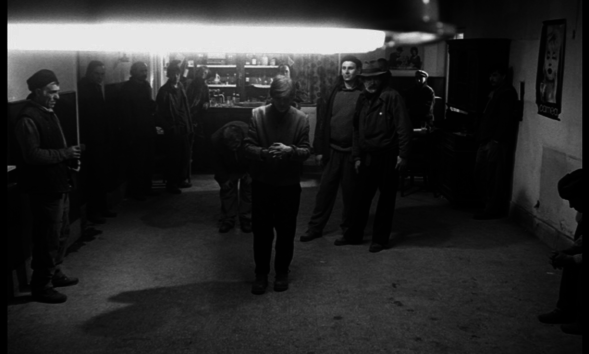 Bela Tarr’s “Werckmeister Harmonies” begins thusly, at a watering hole in a nameless Hungarian town. Yet instead of dissolving into disheveled withdrawal and blind stumbling into the dark of alleyways, closing time, that most lachrymose of hours, becomes occasion for a dance. Janos, the young fantasist in charge, corrals the boozehounds into a semicircle. He elects one to play the role of Sun, another Earth, another Moon. He sets them to wheeling round one another in galactic mimicry. On they orbit, eclipse, orbit again, as swirlingly as the emanations around Van Gogh stars, first those three and then the entire lot, all gyrating with a hideous beauty, with graceless charm. Janos, played by the actor Lars Rudolph, becomes smitten with the leviathan. He stares deeply into its dead open eyes. As the men in the square grow increasingly irritable and rumors of revolt reach fever pitch, Janos holds out hope that the presence of such a marvelous creature will quell the uproar. Awe, in his estimation, is the antidote to savagery. But whales belong in oceans, not on the backs of trailers in central European squares. It quickly becomes clear that the true powerbroker is the aforementioned prince, a devilish runt who incites the crowd to go on a killing spree through houses and hospitals alike, prompting one of the most haunting, chilling sequences of mob violence in modern European cinema. The Werckmeister of the film’s title is Andreas Werckmeister, the Baroque German composer. Werckmeister, who was a major influence on J.S. Bach, developed a theory of musical counterpoint based on the rotation of the planets. Beauty came from order, from aligning life on earth with the truth of heaven. To hear Janos’s uncle Eszter, an eminent composer, tell it, humanity’s dysfunction is bound up in Werckmeister’s ideas about design. Does the film lend support to Eszter’s contentions or does it undercut them? Is the hell that follows the dance in the bar the fault of faith, ambivalence, or something else entirely? And what are we to make of the old man whose dramatic presence, not unlike that of the newborn in Alfonso Cuaron’s “Children of Men,” has the capacity to bring to an end the slaughter? I’m not sure. Part of the experience of watching a Bela Tarr film (“Damnation,” “The Man From London”) is puzzling over meaning. Our energies might be better spent marveling at the technical achievements of “Werckmeister Harmonies.” In a mere 39 shots, Tarr, who has since retired from filmmaking, gives shape to a secular nightmare. Like the woodcuts of Lynd Ward and the photographs of Andre Kertesz, the film has a mythic texture owing to its use of chiaroscuro, of simple black and white. And then there are the musical interludes. In a work of such thematic convolutedness, these piano and string numbers by Mihaly Vig give the picture emotional continuity, which is to say they provide structure. That music is a means of bringing order out of chaos is one point on which Tarr and Werckmeister agree. In Chile, beautiful Chile, that wistful sliver of southern South America, the past is a fetish, a business, and a dilemma. Astronomers sleuthing for clues about the origins of the universe squint into telescopes beneath translucent skies. Artifact-avid archaeologists dirty hands and knees in the arid Atacama desert. “The memory of you emerges from the night around me,” begins Pablo Neruda’s “Song of Despair.” He is not the only Chilean poet to have taken reminiscence for a muse. But Chile’s more recent political history, as the documentary “Nostalgia for the Light” makes clear, is hardly an open book. South of Santiago, in Chacabuco, the internment camps where dictator Augusto Pinochet corralled dissidents behind barbwire in the 1970s, still stand. Unsanctioned and largely ignored, the female relatives of political prisoners who never returned home nor escaped into European exile canvas the Mars-like Atacama for the remains of loved ones, a broken tooth here, a shoe over there. “Nostalgia for the Light” draws attention to these paradoxes with pathos and artistry. Director Patricio Guzman has given us a shimmering polemic. For a parallel in painting, think of “Slave Ship” by J.M.W. Turner; in letters, the lyrical essays of Albert Camus. The film begins in space. Guzman pans across state-of-the-art satellites and diaphanous images from the far reaches. Slowly, elliptically, he comes down to earth, to Chile’s hills and Santiago’s lights, to the secrets whispering up from the soil. Guzman, who has been called Chile’s “one man truth and reconciliation commission,” interviews young scientists, former political prisoners, a nurse who’s parents are among the disappeared, a satellite technician who was born in exile. An old man named Miguel walks off the exact footprint of the detention center where he spent the months following Pinochet’s military coup, the specs, the memories, still vivid nearly forty years later. His wife, we learn, has Alzheimer’s disease. The cross-generational cast of “Nostalgia for the Light” is united by an obsession, willing or unwitting, with the past. For many, the stars — stars studded against skies that make the North American variety look like veils — give perspective, even comfort. 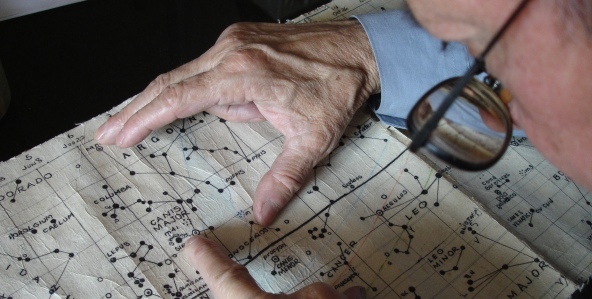 There is the story of how a doctor at a concentration camp in Chacabuco taught prisoners how to map constellations, liberating them for a few hours every night. For others, stargazing seems a trifle given the mysteries closer to home. “I wish the telescopes didn’t just look into the sky,” says one time-wizened woman who continues to comb the desert for her missing brother. Guzman shares his subjects’ obsession with the past, along with their nuanced ardor for Chile. Some of the film’s most poignant moments are his recollections of growing up in Santiago in the days when life was tranquil and “the president walked unescorted through the street.” He recalls how as a child a handful of marbles was sheer magic. In Guzman’s weaving together of satellite imagery, documentary footage, and illuminative on-camera interviews, “Nostalgia for the Light” has a similar effect. In recent years, officials in Santiago have shown an increased willingness to throw light into Chile’s shadows. Judges have granted requests to exhume the bodies of Salvador Allende and Pablo Neruda, who died in Santiago less than two weeks after the coup. “Nostalgia for the Light” pleads for more. At the heart of the film is the idea that history matters because it is an essential part of us, that history is, in a real sense, all we have.